The large majority of today's cars and trucks travel by using internal combustion engines that burn gasoline or other fossil fuels. The process of burning gasoline to power cars and trucks contributes to air pollution by releasing a variety of emissions into the atmosphere. Emissions that are released directly into the atmosphere from the tailpipes of cars and trucks are the primary source of vehicular pollution. But motor vehicles also pollute the air during the processes of manufacturing, refueling, and from the emissions associated with oil refining and distribution of the fuel they burn. 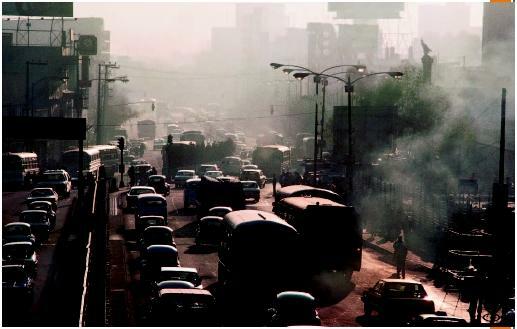 Primary pollution from motor vehicles is pollution that is emitted directly into the atmosphere, whereas secondary pollution results from chemical reactions between pollutants after they have been released into the air. Despite decades of efforts to control air pollution, at least 92 million Americans still live in areas with chronic smog problems. The U.S. Environmental Protection Agency (EPA) predicts that by 2010, even with the benefit of current and anticipated pollution control programs, more than 93 million people will live in areas that violate health standards for ozone (urban smog), and more than 55 million Americans will suffer from unhealthy levels of fine-particle pollution, which is especially harmful to children and senior citizens. While new cars and light trucks emit about 90 percent fewer pollutants than they did three decades ago, total annual vehicle-miles driven have increased by more than 140 percent since 1970 and are expected to increase another 25 percent by 2010. The emission reductions from individual vehicles have not adequately kept pace with the increase in miles driven and the market trend toward more-polluting light trucks, a category that includes sports utility vehicles (SUVs). As a result, cars and light trucks are still the largest single source of air pollution in most urban areas, accounting for onequarter of emissions of smog-forming pollutants nationwide. Ozone (O 3 ). The primary ingredient in urban smog, ozone is created when hydrocarbons and nitrogen oxides (NO x )—both of which are chemicals released by automobile fuel combustion—react with sunlight. Though beneficial in the upper atmosphere, at the ground level ozone can irritate the respiratory system, causing coughing, choking, and reduced lung capacity. Particulate matter (PM). These particles of soot, metals, and pollen give smog its murky color. Among vehicular pollution, fine particles (those less than one-tenth the diameter of a human hair) pose the most serious threat to human health by penetrating deep into lungs. In addition to direct emissions of fine particles, automobiles release nitrogen oxides, hydrocarbons, and sulfur dioxide, which generate additional fine particles as secondary pollution. Nitrogen oxides (NO x ). These vehicular pollutants can cause lung irritation and weaken the body's defenses against respiratory infections such as pneumonia and influenza. In addition, they assist in the formation of ozone and particulate matter. In many cities, NO x pollution accounts for one-third of the fine particulate pollution in the air. ©Stephanie Maze/Corbis. Reproduced by permission. Carbon monoxide (CO). This odorless, colorless gas is formed by the combustion of fossil fuels such as gasoline. Cars and trucks are the source of nearly two-thirds of this pollutant. When inhaled, CO blocks the transport of oxygen to the brain, heart, and other vital organs in the human body. Newborn children and people with chronic illnesses are especially susceptible to the effects of CO.
Sulfur dioxide (SO 2 ). Motor vehicles create this pollutant by burning sulfur-containing fuels, especially diesel. It can react in the atmosphere to form fine particles and can pose a health risk to young children and asthmatics. Hazardous air pollutants (toxics). These chemical compounds, which are emitted by cars, trucks, refineries, gas pumps, and related sources, have been linked to birth defects, cancer, and other serious illnesses. The EPA estimates that the air toxics emitted from cars and trucks account for half of all cancers caused by air pollution. Carbon monoxide, ozone, particulate matter, and the other forms of pollution listed above can cause smog and other air quality concerns, but there are vehicular emissions that contribute to a completely different pollution issue: global warming. ©James A. Sugar/Corbis. Reproduced by permission. The gases that contribute to global warming are related to the chemical composition of the Earth's atmosphere. Some of the gases in the atmosphere function like the panes of a greenhouse. They let some radiation (heat) in from the sun but do not let it all back out, thereby helping to keep the Earth warm. The past century has seen a dramatic increase in the atmospheric concentration of heat-trapping gasses, due to human activity. If this trend continues, scientists project that the earth's average surface temperature will increase between 2.5°F and 10.4°F by the year 2100. One of these important heat-trapping gasses is carbon dioxide (CO 2 ). Motor vehicles are responsible for almost one-quarter of annual U.S. emissions of CO 2 . The U.S. transportation sector emits more CO 2 than all but three other countries' emissions from all sources combined. cars and trucks, burning less fuel, switching to cleaner fuels, using technologies that reduce or eliminate emissions, and reducing the number of vehicle-miles traveled. Federal and California regulations require the use of technologies that have dramatically reduced the amount of smog-forming pollution and carbon monoxide coming from a vehicle's tailpipe. For gasoline vehicles, "threeway" catalysts, precise engine and fuel controls, and evaporative emission controls have been quite successful. More advanced versions of these technologies are in some cars and can reduce smog-forming emissions from new vehicles by a factor of ten. For diesel vehicles, "two-way" catalysts and engine controls have been able to reduce hydrocarbon and carbon monoxide emissions, but nitrogen oxide and toxic particulate-matter emissions remain very high. More advanced diesel-control technologies are under development, but it is unlikely that they will be able to clean up diesel to the degree already achieved in the cleanest gasoline vehicles. Added concerns surround the difference between new vehicle emissions and the emissions of a car or truck over a lifetime of actual use. Vehicles with good emission-control technology that is not properly maintained can become "gross polluters" that are responsible for a significant amount of existing air-quality problems. New technologies have also been developed to identify emission-equipment control failures, and can be used to help reduce the "gross polluter" problem. The key to burning less fuel is making cars and trucks more efficient and putting that efficiency to work in improving fuel economy. The U.S. federal government sets a fuel-economy standard for all passenger vehicles. However, these standards have remained mostly constant for the past decade. In addition, sales of lower-fuel-economy light trucks, such as SUVs, pickups, and minivans, have increased dramatically. As a result, on average, the U.S. passenger-vehicle fleet actually travels less distance on a gallon of gas than it did twenty years ago. This has led to an increase in heat-trapping gas emissions from cars and trucks and to an increase in smog-forming and toxic emissions resulting from the production and transportation of gasoline to the fuel pump. This trend can be reversed through the use of existing technologies that help cars and trucks go farther on a gallon of gasoline. These include more efficient engines and transmissions, improved aerodynamics, better tires, and high strength steel and aluminum. More advanced technologies, such as hybrid-electric vehicles that use a gasoline engine and an electric motor plus a battery, can cut fuel use even further. These technologies carry with them additional costs, but pay for themselves through savings at the gasoline pump. As more cars and trucks are sold and total annual mileage increases, improving pollution-control technology and burning less fuel continues to be vital, especially in rapidly growing urban areas. However, eliminating emissions from the tailpipe goes even further to cut down on harmful air pollutants. Hydrogen fuel-cell and electric vehicles move away from burning fuel and use electrochemical processes instead to produce the needed energy to drive a car down the road. Fuel-cell vehicles run on electricity that is produced directly from the reaction of hydrogen and oxygen. The only byproduct is water—which is why fuel-cell cars and trucks are called zero-emission vehicles. Electric vehicles store energy in an onboard battery, emitting nothing from the tailpipe. The hydrogen for the fuel cell and the electricity for the battery must still be produced somewhere, so there will still be upstream emissions associated with these vehicles. These stationary sources, however, are easier to control and can ultimately be converted to use wind, solar, and other renewable energy sources to come as close as possible to true zero-emission vehicles. The gasoline and diesel fuel in use today contains significant amounts of sulfur and other compounds that make it harder for existing control technology to keep vehicles clean. Removing the sulfur from the fuel and cutting down on the amount of light hydrocarbons helps pollution-control technology to work better and cuts down on evaporative and refueling emissions. Further large-scale reductions of other tailpipe pollution and CO 2 can be accomplished with a shift away from conventional fuels. Alternative fuels such as natural gas, methanol, ethanol, and hydrogen can deliver benefits to the environment while helping to move the United States away from its dependence on oil. All of these fuels inherently burn cleaner than diesel and gasoline, and they have a lower carbon content—resulting in less CO 2 . Most of these fuels are also more easily made from renewable resources, and fuels such as natural gas and methanol help provide a bridge to producing hydrogen for fuel-cell vehicles. Because we are still dependent on fossil fuels and the number of cars on the road is expected to double, a significant reduction in vehicular pollution requires more than gains in fuel efficiency. Measures that encourage us to drive less can help curb vehicular pollution and protect natural resources and public health. promoting transit-oriented, compact developments in and around cities and towns; and adopting policies to improve existing roads and infrastructure. Individuals can also make a difference in the effort to reduce pollution from cars and trucks. How we drive and how we take care of our vehicles affects fuel economy and pollution emissions. The following are several ways people can reduce the harmful environmental impact of cars. Driving as little as possible is the best way to reduce the harmful environmental impact of transportation needs. 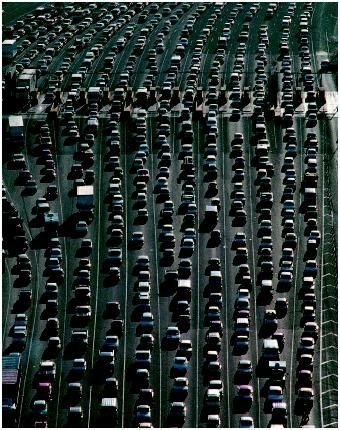 Carpooling, mass transit, biking, and walking are ways to limit the number of miles we drive. Choosing a place to live that reduces the need to drive is another way. Driving moderately and avoiding high-speed driving and frequent stopping and starting can reduce both fuel use and pollutant emissions. Simple vehicle maintenance—such as regular oil changes, air-filter changes, and spark plug replacements—can lengthen the life of your car as well as improve fuel economy and minimize emissions. Keeping tires properly inflated saves fuel by reducing the amount of drag a car's engine must overcome. During start-up, a car's engine burns extra gasoline. However, letting an engine idle for more than a minute burns more fuel than turning off the engine and restarting it. During warm periods with strong sunlight, parking in the shade keeps a car cooler and can minimize the evaporation of fuel. SEE ALSO A IR P OLLUTION ; C ARBON D IOXIDE ; C ARBON M ONOXIDE ; L EAD ; NO x ; O ZONE ; S MOG ; VOCs (V OLATILE O RGANIC C OMPOUNDS) . American Automobile Association. "Daily Fuel Gauge Report." Available from http://198.6.95.31/index.asp . American Council for an Energy Efficient Economy. "GreenerCars.com." Available from http://www.greenercars.com/indexplus.html . How Stuff Works. "How Ozone Pollution Works." Available from http://science.howstuffworks.com/ozone-pollution.htm . U.S. Department of Energy. "Fuel Economy." Available from http://www.fueleconomy.gov . U.S. Environmental Protection Agency. "Green Vehicle Guide." Available from http://www.epa.gov/greenvehicles . U.S. Environmental Protection Agency. 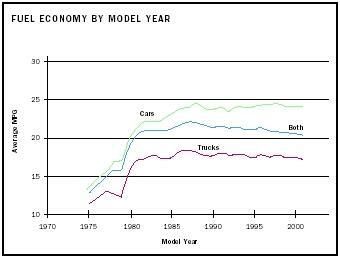 "Light-Duty Automotive Technology and Fuel Economy Trends: 1975 through 2003." Available from http://www.epa.gov/otaq/fetrends.htm . U.S. Environmental Protection Agency. "Motor Vehicle Emissions." Available from http://www.epa.gov/otaq/ld-hwy.htm . Weather Channel. "Health Forecast Search." Available from http://www.weather.com/activities/health/search.html?from=tabset . it's beneficial. my question is utilization of nitrogen gas for vehicular pollution management. Please let me know if bubbleair air filter for use inside a car is useful.